safety inspection is easy for homeowners to understand and is comparable to your routine doctor’s visit. 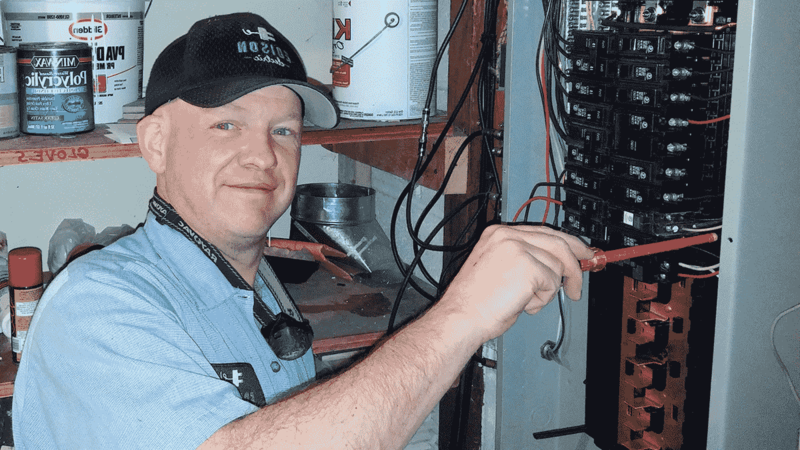 Our licensed electricians will check the overall health of your electrical system by inspecting your electrical panel, smoke alarms, grounding system, ground-fault safety devices and more. 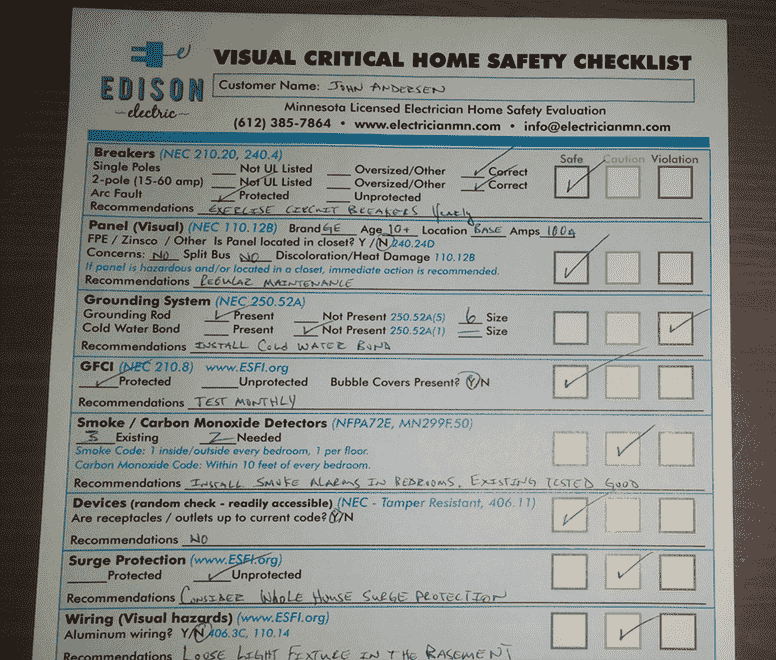 We will assess your risk for home electrical fire and electrical shock by identifying problem areas in your system which need improvement to make your home a safe place to live. Common electrical issues we find on our electrical inspection include expired smoke alarms, non-functioning ground-fault outlets, and over-sized circuit breakers to name a few. 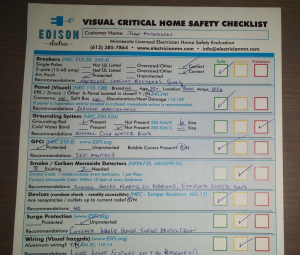 If you are a new homeowner, our safety inspection is a terrific way to help familiarize you with the ins and outs of your home electrical system.